I will start by saying that I am now and have always been a complete sucker for the kid made valentines. Even before I had kids, I always loved those little hand drawn hearts my students would give me for valentines. 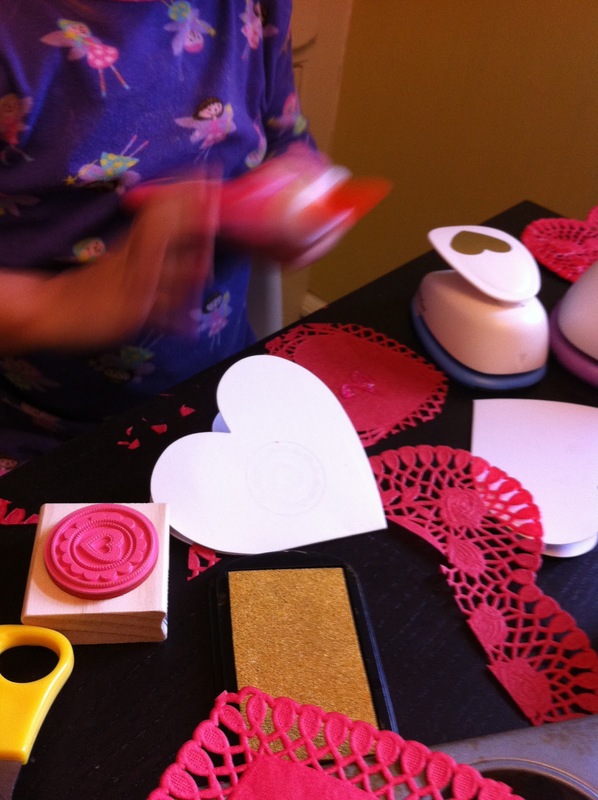 So then it should come as no surprise that we made valentines this week. 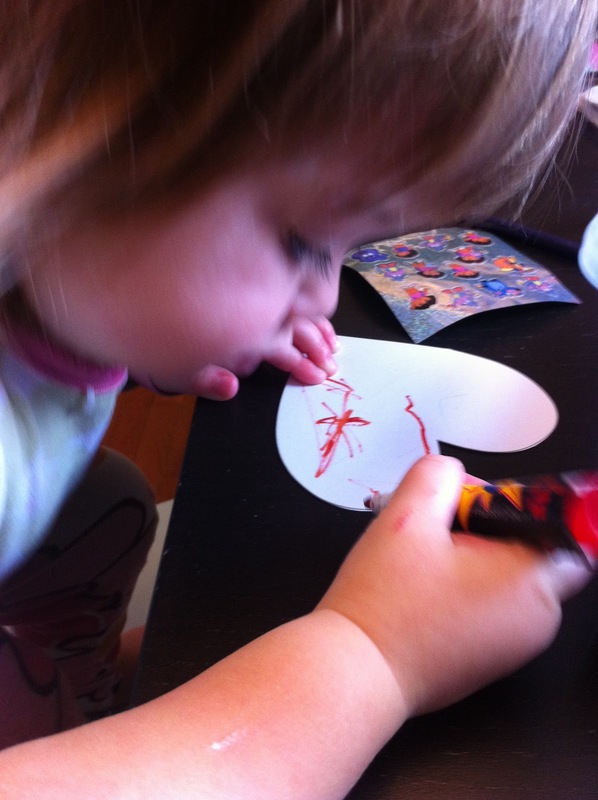 It was a perfect activity that allowed The Bee to cut and paste (what she truly loves to do) and The Bean to color (what she truly loves to do.) 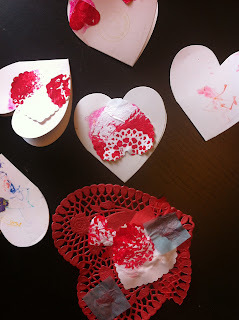 We begin with just some plain white little heart cards that I got at Micheal's and we laid out all the pink, heart, glitter materials we have and went to town. We used some heart paper punches for cutting hearts from our Valentines doily paintings. The Bean mostly used markers and some random Dora stickers we found. The Bee is in love with the "beautiful" pink glitter glue we had and I just sat and watched how even though they both had all the same materials to use they picked and used totally different things. Our finished valentines will be heading out soon to spread a little valentines love!